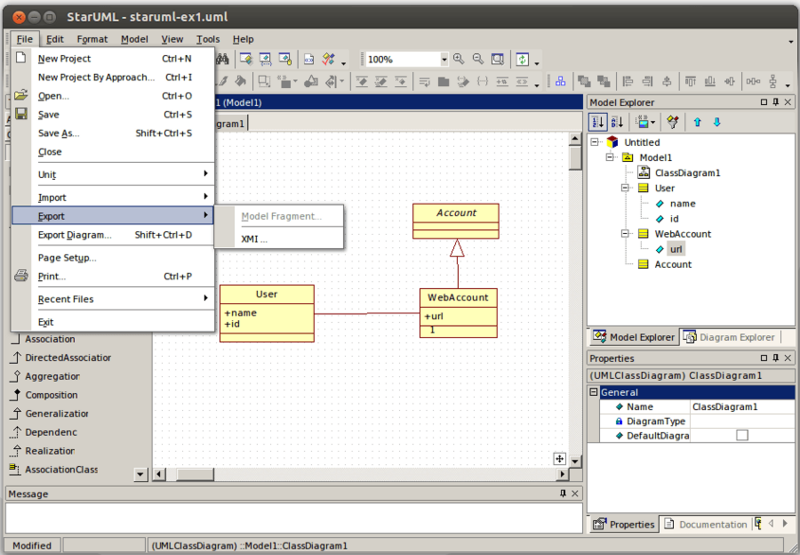 StarUML was an open source UML tool made to design UML models. It runs on Win32 platform and it uses an old version of the UML metamodel (1.3). 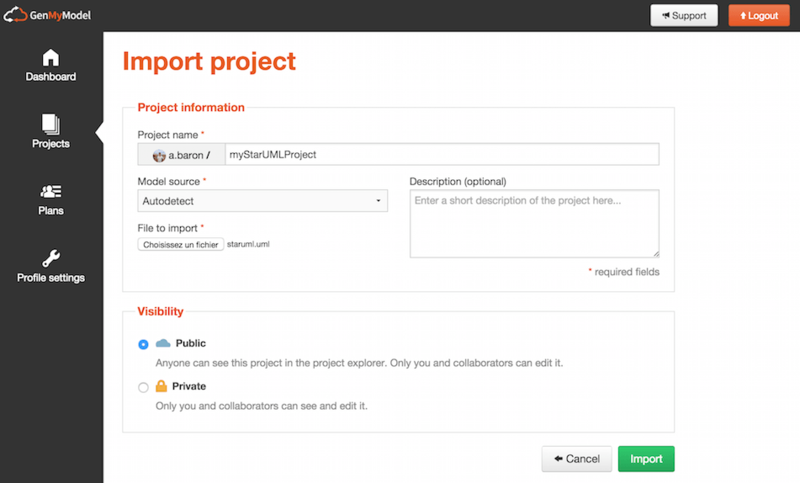 GenMyModel allows you to import StarUML projects to get the most out of collaborative and web-based capabilities. 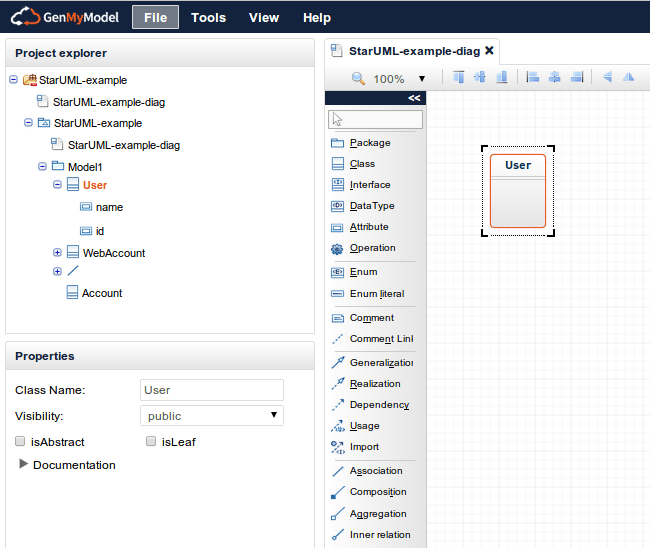 GenMyModel is a brand new collaborative UML modeling tool with powerful features for creating UML models right in the browser. 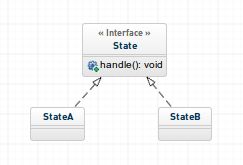 You can share and edit your UML models in real-time. 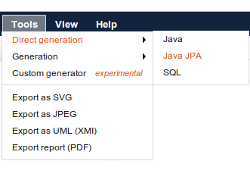 GenMyModels uses UML2, generates code (Java, SQL), and lets you import your own custom code generator. 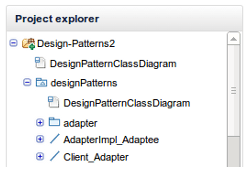 How to import StarUML projects in GenMyModel? 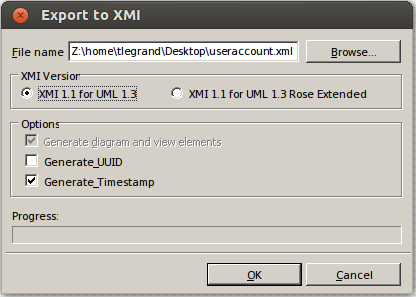 GenMyModel autodetects the XMI format. Done! Contact us if you need any help importing your StarUML projects. We will be happy to help you out.